UGA irrigation specialists urge farmers to take care of maintenance on their systems before the planting season. University of Georgia Cooperative Extension irrigation specialist Wes Porter recently shared helpful irrigation system inspection tips for producers ahead of the planting season. Looking ahead to the coming months, Porter notes that growers should begin by conducting a thorough inspection of their irrigation system to make sure it’s in top shape and ready to run. 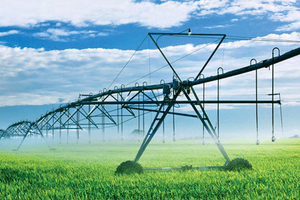 Once producers begin planting, they may apply irrigation to establish proper plant stands or activate herbicides. It’s during this time that a leaky pipe or flat tire may slow down the process. “If farmers take care of these maintenance procedures before the growing season begins, it will save them much-needed time during critical water-use periods and prevent potential yield loss to their crops due to moisture stress,” Porter says. In addition to conducting a full inspection, producers should ensure that the sprinklers are rotating properly in a uniform pattern. The oil should be changed, and the air filters on motors that run on diesel, gas or propane should be cleaned. All of these tips combined can make for a more successful planting season.